Arai has done it again, creating an old-school lid with the modern technology and fine finish for which Arai is known. Not content to use an inferior shell, the Classic-V has a PBcLc constructed shell, the same as found in the Arai X model helmets. Technology doesn't stop at the shell. Arai realized that many open-faced helmets drop the ball on ventilation, leaving the rider with a hot and sweaty head. The Classic V has hidden interior vents, with 3 air intakes built into the forehead liner that draw cooling air up and over the head to 3 lower rear exhausts. Add on a 5 snap face shield or a 3 snap visor to complete your look (face shield and visor sold separately). The Arai Classic V Helmet, where the V stands for ventilation. My first open face helmet in years. I only fit in Arais (long head) and they really are the best.This open face has nice ventilation, looks great and is super comfy. Quality through out which is unusual for an open face helmet. 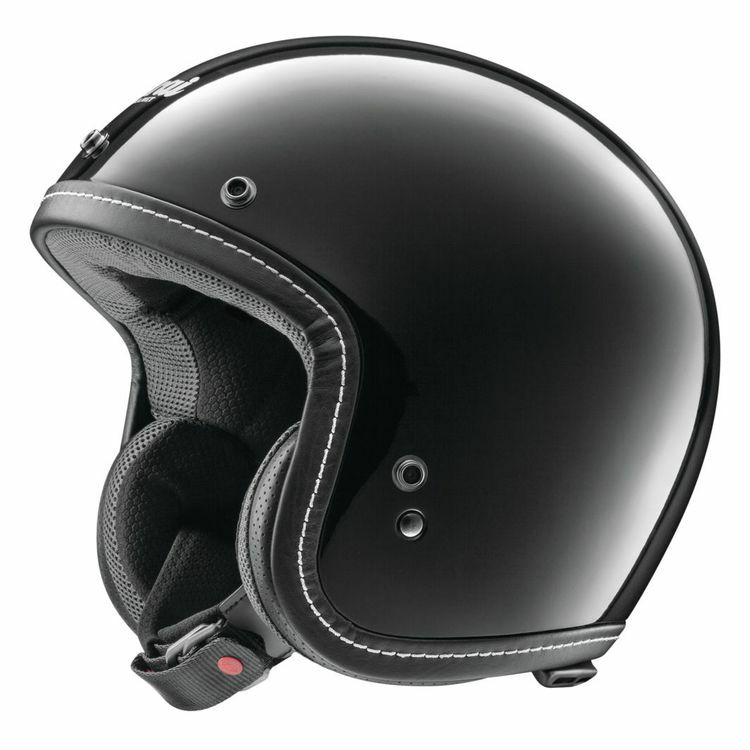 With Arai, you ride with the confidence that you cannot pay more. Do you anticipate shooting a video about the Arai Classic-V helmet? If so, when can we anticipate seeing it? BEST ANSWER: I don’t like the fit. I like 1/2 helmets. Will sell it you want it. Arai is the only helmet that fits my long-oval head. My Arai Signet X is perfect -- a long oval design, as you are aware. BUT -- I had to buy an XL. Most helmets and/or headwear in an LG size are my go-to. Intermediates can work too, sometimes. With all that said, should I start with an XL Classic V?